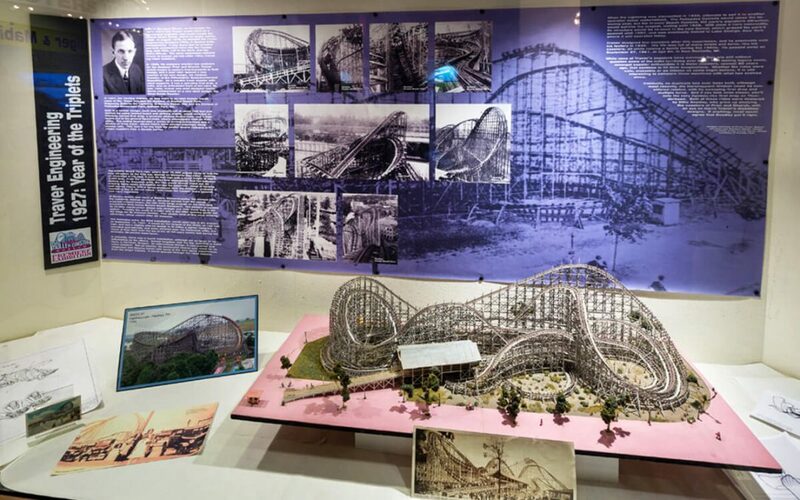 The inaugural exhibit of the National Roller Coaster Museum and Archives (NRCMA) was housed in a 1,250 square foot exhibit space at Dollywood, Pigeon Forge, Tennessee. Contained in the exhibit were 20 displays of various sizes, covering all aspects on the subject of roller coasters, along with a few related areas of interest. The displays and videos represent a good portion of the industry as well as historical artifacts, photographs, and other items that represent the past. Many of the displays have a connection to the roller coasters at Dollywood with a balance between old and new.